I wanted to share a makeup look I recently wore to a friend's baby shower. 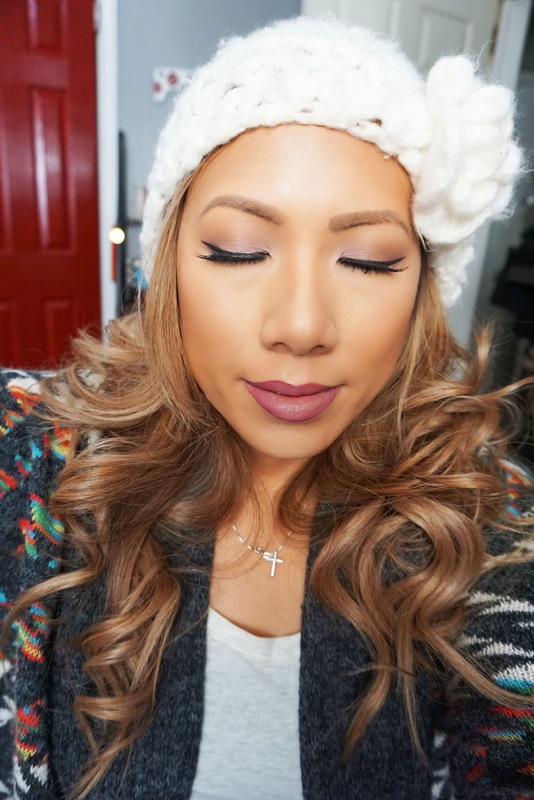 This look is so pretty and wintry I definitely had to give you the deets. Check it out! This is one of my favorite winter hats, it never goes out of style. My curls and updated cut and color are courtesy of my hair stylist @ArtistAHairStudio. I was going to a winter themed baby shower so I wanted to wear snuggly sweater gear and keep my makeup soft. 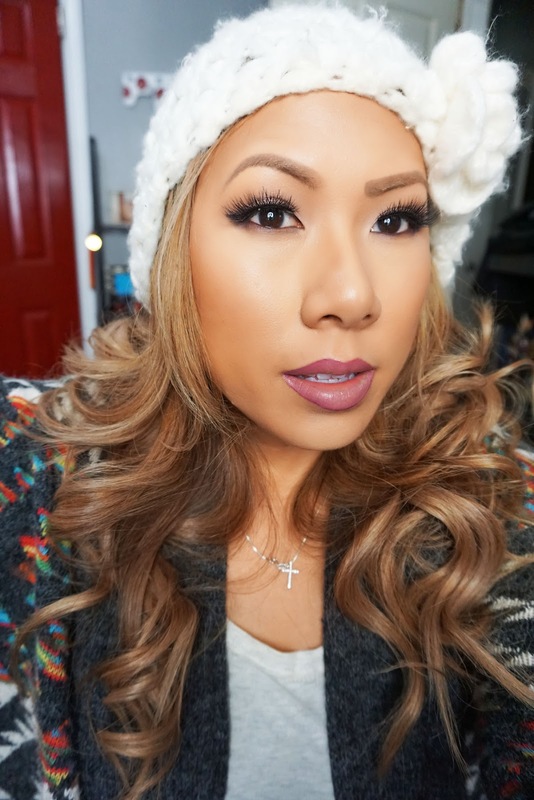 On my lips, I lined with MAC Currant Lip Pencil and NYX Liquid Lip Color in Brilliant. On the eyes I used an old Tarte eyeshadow palette. Hope you enjoyed! I'm trying to catch up with all my posts so here's to an awesome 2018!